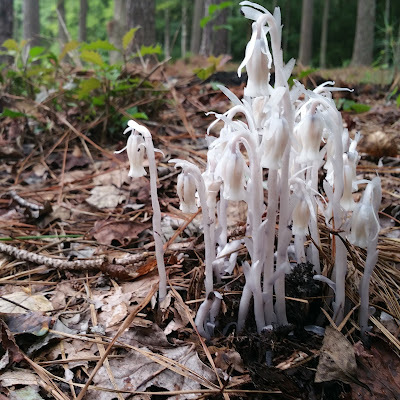 I've been enjoying tramps through our woods looking at the interesting things that have been sprouting up: Indian Pipe, Coral Mushroom, and ??? Any ideas? 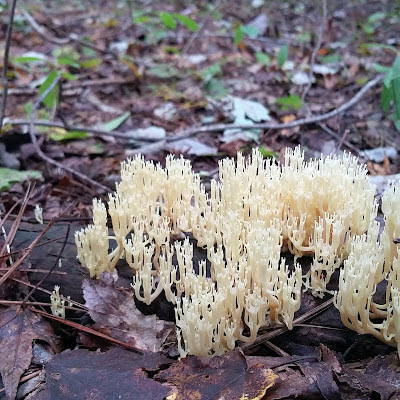 Cool mushrooms! 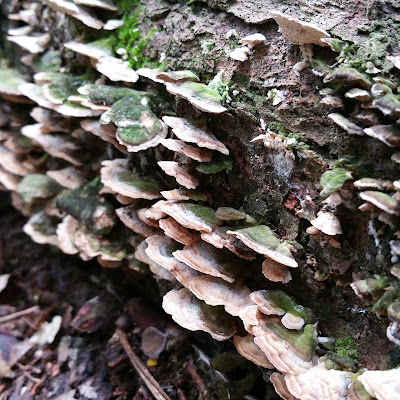 The last ones are Turkey Tails.